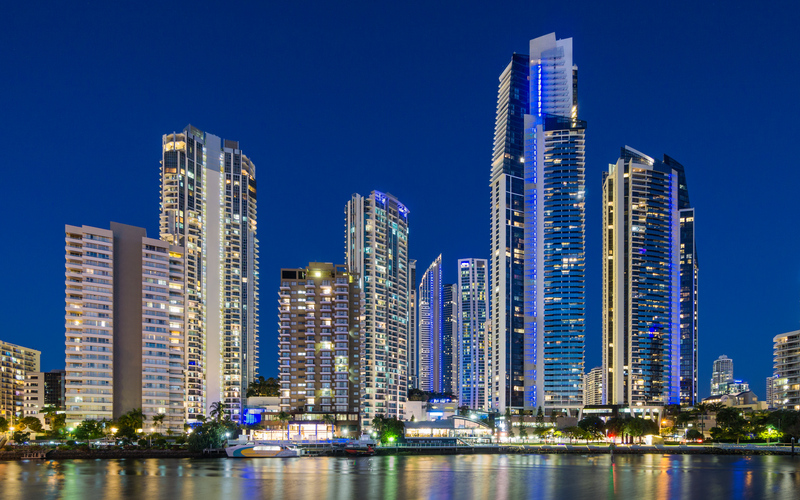 There are many locations from which to shoot the tall buildings of the Gold Coast in Queensland but this is one that has water in the foreground .It is also a good spot for an evening shot as the sun sets behind you and the eastern sky hast that nice velvet blue colour. Cols Coast can be reached by air, road and train. Chevron Island can be reached by car or a short walk over the bridge on Thomas Drive.